with 2 bedrooms and 1 bath room. 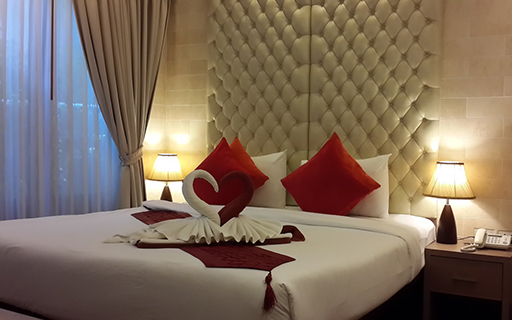 Enjoy your stay in one of our suite rooms that features a separate living-sitting area with 2 bedrooms. These spacious suite rooms are fully furnished with luxury amenities and a huge window, which is perfect for a family who want to stay close together. It also well suited for private and business meetings too.